The Ford F150 contains an amazing powerhouse of an engine. However, the ergonometric of the design is a bit weak, and as such, replacing spark plugs in a 4.6L F150 is problematic. 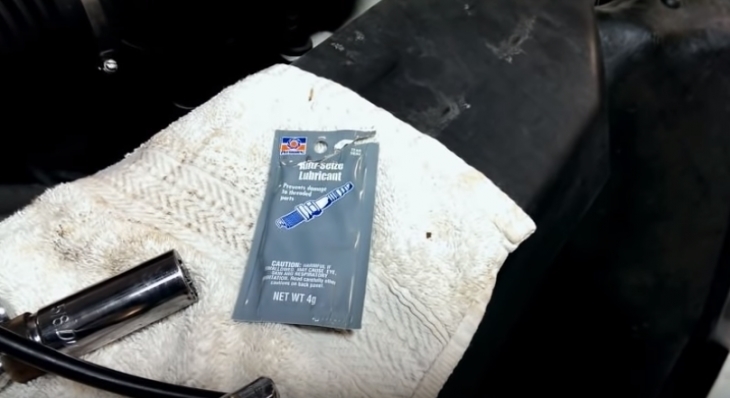 Unlike a simple spark plug replacement process that should take half an hour, the F150 process will take around 2 hours for your first attempt, and then go to around an hour after that if you have the right equipment. 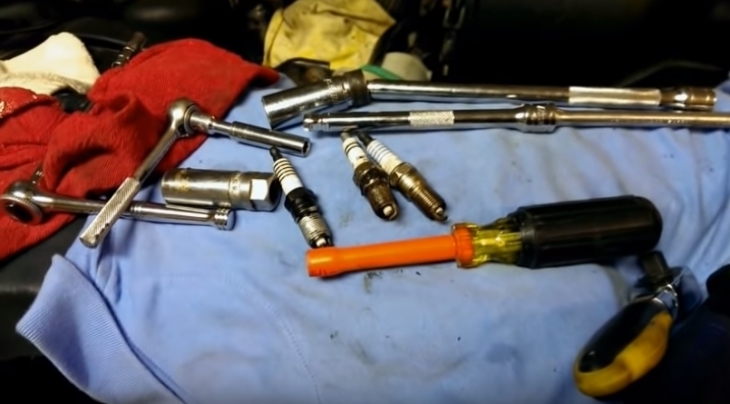 So, what do you need to have to replace the spark plugs in a 4.6L F150? To start off with, clean the work area you intend to use, make sure you have all the equipment at arm’s length and have the replacement spark plugs ready. Undo the battery negative, never work on an electronic or electrical system in a vehicle when the battery is connected. Secure the vehicle, even if you are not jacking it, make sure the hand-brakes are locked, and even put a tire block in place. To gain access to the coil retainer bolt you need to unplug the fuel injector connector and the ignition coil. Remove retainer bolt using the 7mm socket wrench. Don’t drop the bolt, or you will need to fish it out of the engine valley. To assure you don’t drop it, loosen the bolt with the wrench and then finish unbolting it by hand. Remove the ignition coil by pulling it upwards. If the boot comes off too that’s fine, just reinstall it over the ignition coil. 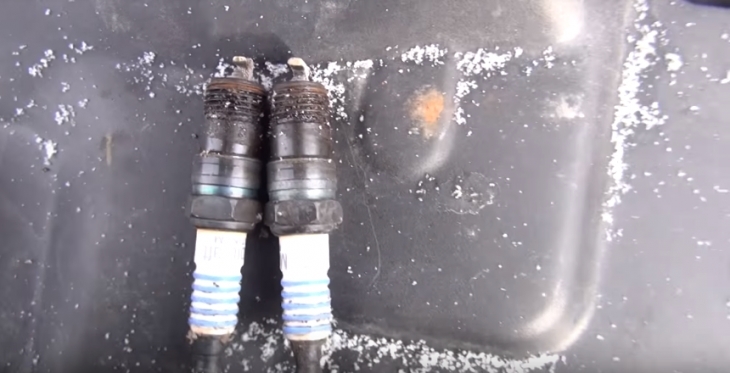 Now clean the surface with compressed air, you need to be exact with this, you do not want any debris or particulates entering the spark plug bore after you remove them. b. 2004 and above use a 9/16”. When applying the socket, use your hands at first to assure a secure grip, only after it is securely over the hexagon attach the ratchet and apply torque. The boot will come off with the plug. Once you have loosened the plug, unfasted the ratchet and removed the plug using your hands. Before you install the new plugs, verify the gap. Now install the new plug by first placing it by hand into the socket. Never apply immediate torque, always take your time adjusting the socket into place, you do not want to damage the soft aluminum threading of the cylinder head. A good spark plug will thread into place without the use of a ratchet. Once the plug is firmly in place, apply torque using the ratchet, again do not over tighten. Before you reinstall the ignition coil, apply some dielectric grease and then place the coil over the spark plug. Makes sure the coil is seated well. Install the retainer bolt and fuel injector connector and then the ignition coil. Cylinder 4 on the driver passenger site, in bank 1 is the hardest to reach. You can only reach this when you remove the cylinder 3 ignition coil and unplug the cylinder 3 fuel injector. The extension for the socket is a 3 x 6” extensions and a swivel/u-joint. Replacing lugs numbers 1 and 2 are easier, and only need a 6” extension. Cylinder 8 on the driver side, bank 2 needs a 7mm wrench and not a socket to remove the coil retainer. Use a flexible extension to remove this bolt. Remove the power steering reservoir bracket to reach the cylinder 5 plug. Fuel injectors have a red rubber gasket on their inside; these tend to fall out, so don’t forget to reinstall it when the time comes. On some occasions, you will need to pull the plug around 1/8” out of the socket to show the thread. 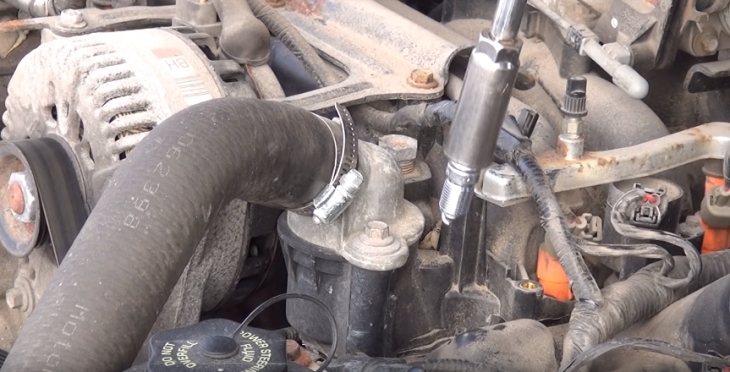 This will help when you need to thread a spark plug that seems to have a thread too far from the socket bottom. Always buy pre-gapped spark plugs, and always double check the gap before installation. The gap for a 4.6L engine is .054” to .056”.